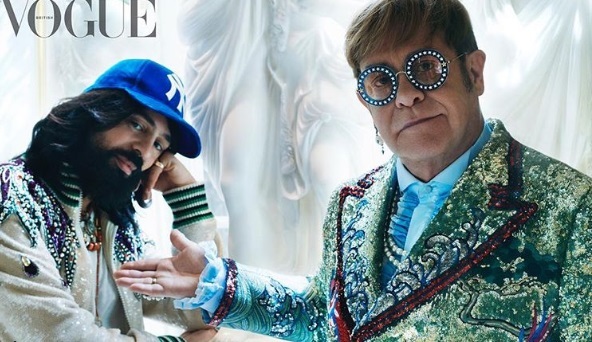 Gucci’s creative director Alessandro Michele has been tasked with designing costumes for the tour after Elton John inspired the brand’s spring/summer 2018 collection. Recently costumes made for Sir Elton by Bill Whitten, famous for Michael Jackson’s white glove, were sold at auction in London. 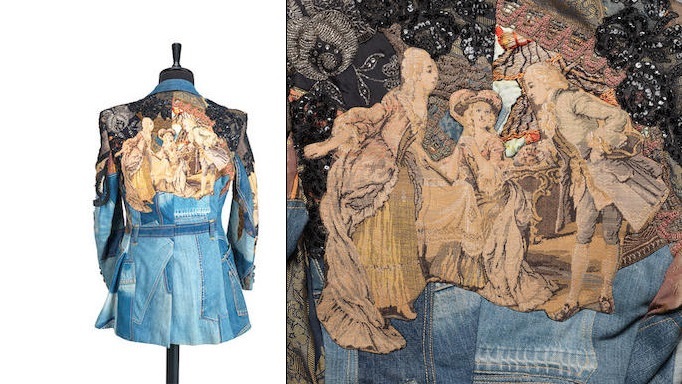 This 1973-4 denim suit was made for Elton John was sold at Bonhams auctioneers with an estimate of up to £1500, which was smashed by a final price of £2125. The suit encapsulates much of the glam we associate with the early ’70s with wide flared trousers patched sporadically with decorative prints. On the back an 18th Century tapestry image has been added in a flurry of details and embellishments. Header image by Nick Knight for Vogue’s September edition. Stars Reveal 1960s Costumes for Tarantino's "Once Upon a Time in Hollywood"